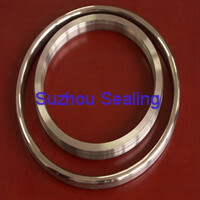 Ring Joint Gasket chooses solid metal with kinds of materials, and is mechanically cut and processed into metal sealing gaskets with kinds of forms by high precision NC lathe. It is suitable for the sealing part of pressure container, valve, and cylinder head with high temperature, high pressure, and strong corrosion. General characteristic is installation area small and preload pressure high.